By the author of Hidden in Paris, a playful cookbook filled with step-by-step recipes of the kinds of meals French people really prepare and eat at home. 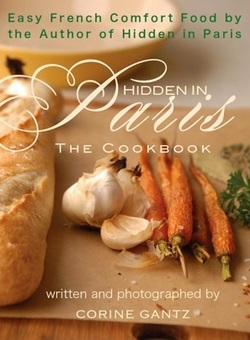 Originally created for the readers of the novel Hidden in Paris, this cookbook features twenty delicious dishes described in the novel, mouth-watering photography of food (and of Paris!) excerpts from the novel, and funny stories. The recipes in the cookbook are mostly traditional French comfort food, easy to prepare and easy to love. The cookbook is intended as an ideal download before a trip to France, especially for those whose idea of the French experience includes shopping at markets and preparing local dishes.